When the stork was busy giving out eyelashes to babies, he definitely missed my cradle. Cursed with short, almost non-existent cilia on top of my lids, I pine for a wonder mascara that can rescue the sad specks. 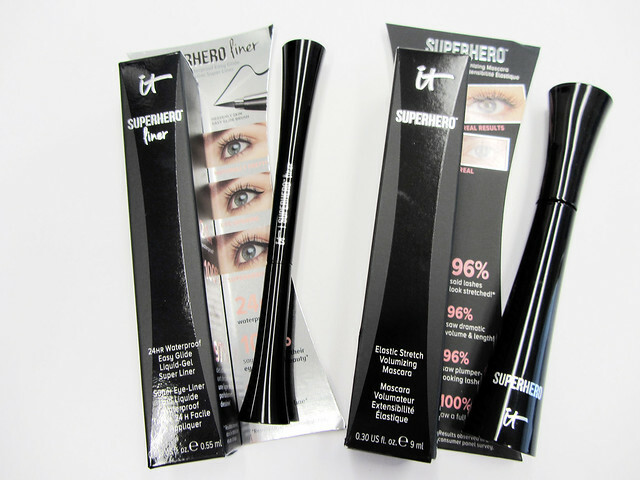 Along comes Superhero Mascara from celebrated American brand IT Cosmetics™. 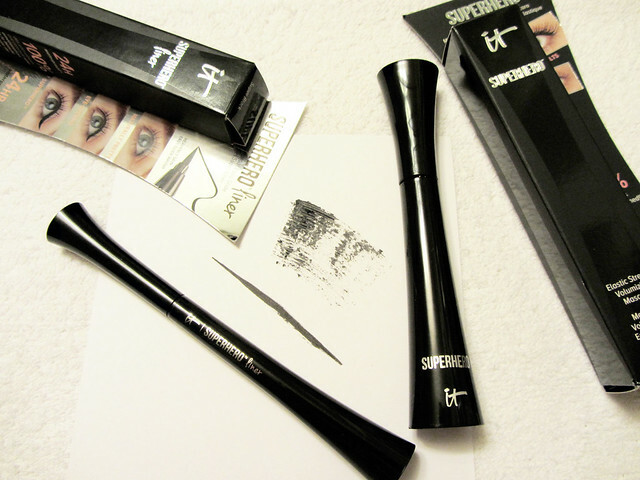 They even sent me its companion, the waterproof Superhero Liquid Eyeliner. IT collaborates with plastic surgeons to create innovative beauty products that tackle various cosmetic ailments. Most of the IT lineup is available at Sephora, TSC (The Shopping Channel) or at itcosmetics.ca, but the Canadian site doesn’t offer the full range of goods. 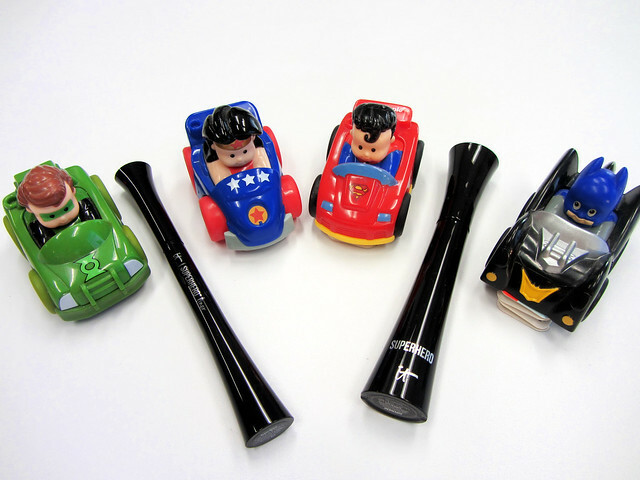 In fact, the Superhero line was only recently released to eager fans north of the border. Both mascara and liner feature IT’s proprietary Elastic Stretch Technology for maximum reach and saturated pigmentation. Lash-boosting peptides, collagen and biotin amplify this duo’s superpowers. The liner is infused with oil-absorbing kaolin clay so your eye-defining artistry stays true all day. 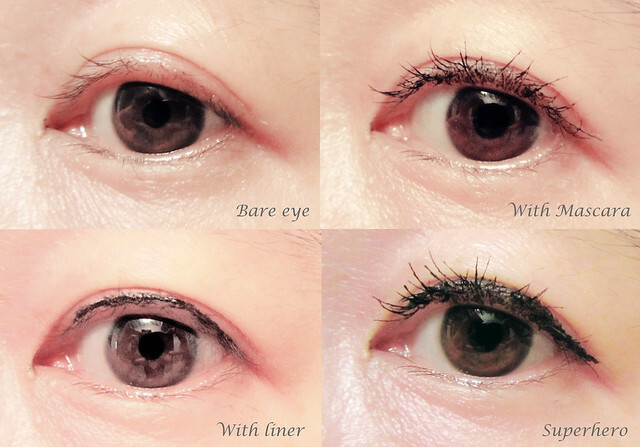 The mascara has a medium-sized thin “power brush”, which is better for my smaller eyes. I would have preferred a tapered over flat tip because I wasn’t able to reach the teeny hairs of the inner corners. The “superhero” powers were somewhat lacking, as I found that one coat wasn’t enough to give any wow-factor volume or length. However, the concentrated formula has a good consistency and is easily buildable. 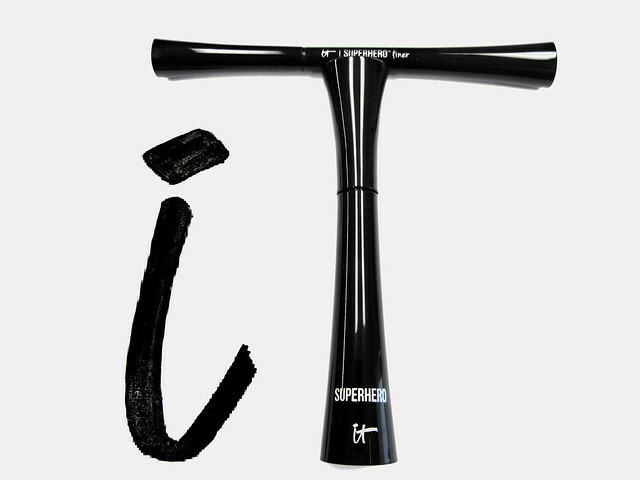 Two or three sweeps with the power wand and eyelashes are cocooned and separated, with curl that lasts all day. Some users have complained about clumping or the solution being too dry or too wet. Ergo, there may be consistency issues that vary with each package. I’d suggest buying the trial size as I find that full-sized mascaras tend to dry out before I can finish them. 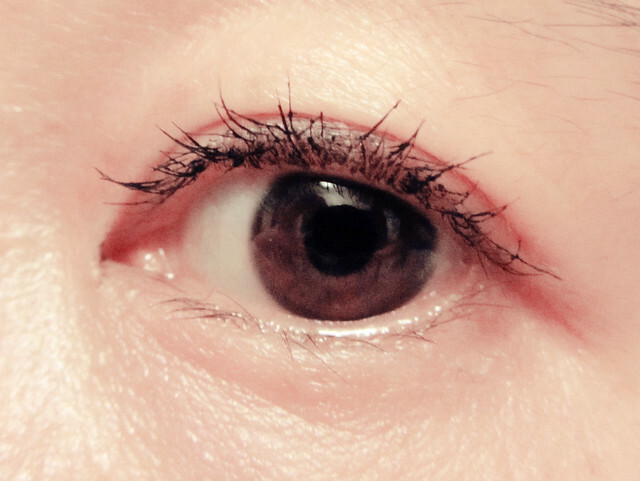 I experienced some flaking and when the stretch fibers fall into the eyes, they’re very irritating. 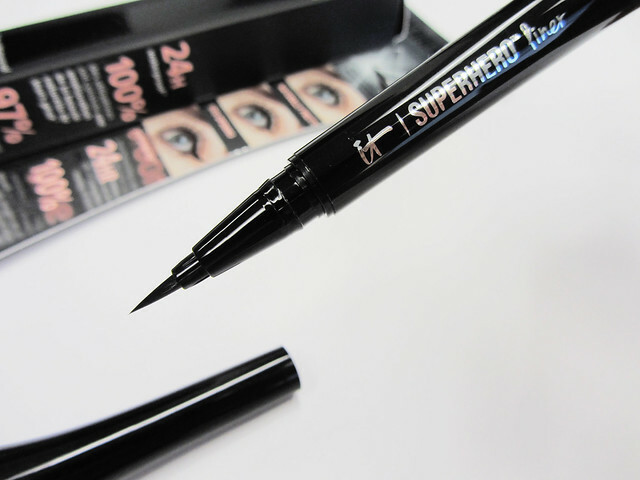 To my delight, the Superhero Liner was no lame sidekick! I was amazed by its effortless application and smooth precision. The matte formula is fast drying and truly budge-proof. Once applied it won’t go anywhere until you take it off. 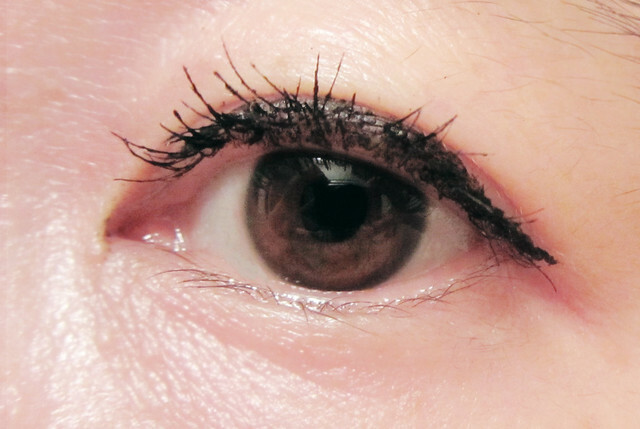 Despite the supersaturated black pigmentation, both products dissolve easily with a swish of eye makeup remover. 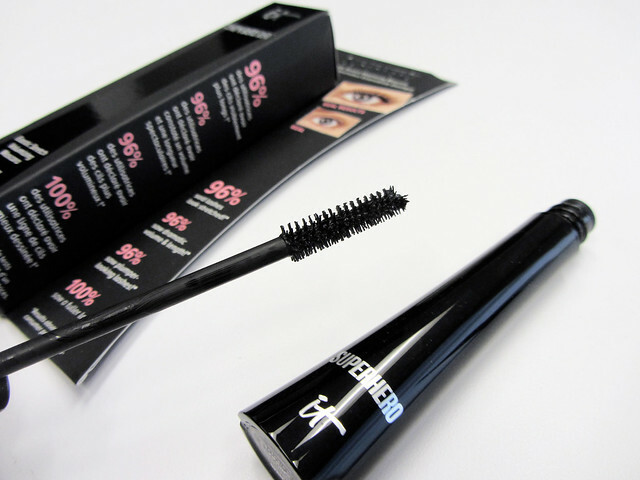 The fray-proof tip is made with IT’s Heavenly Skin™ fibers that allow for a fluid, silky glide across the lash line. A cinch to control, you can shape thin or thick strokes with ne’er a skip. The spring tipped cap is genius too, ensuring no leakage of superpowers. The curved packaging allow both products to stand upright. Albeit attractive with a good grip and feel, the elongated wands might be excessive for toting in petite-sized evening bags. 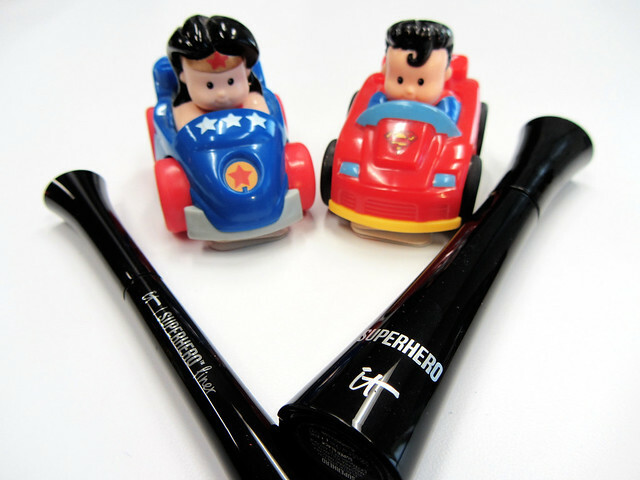 IT Cosmetics Superhero duo are powerful performers but for me, the eyeliner shines through to save the day! Both products retail for CAD $32 each. Photos by Cora Li.